We’ve learnt a lot over the last two years or so about how the Coca-Cola distribution systems work and we thought it would useful to summarise our current state of knowledge so that others can fill any gaps or correct any misconceptions. Please comment. The first thing to realise is that Coca-Cola is a sort of franchised operation. Most people refer to Cola-Cola as if it were a single entity and it is not. 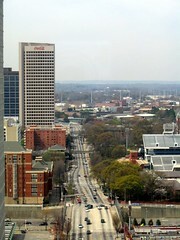 You have the people in Atlanta who take care of the brand and overall marketing, product development and so on, but then each country has its own bottler, or more likely, bottlers. 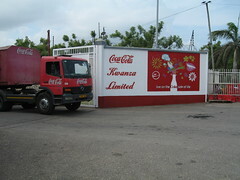 Although Coca-Cola may have an interest in some of these bottling operations they are generally separate legal entities. Having said that, many, in their current form, are totally dependent on Coca-Cola as they do not bottle anything else. However, this is not always the case. In Zambia, for example, Zambian Breweries, a wholly owned subsidiary of SABMiller, is the sole bottler of Coca-Cola in the country, and also bottle beer. Within each country, the same pattern of devolution is seen when it comes to distribution. In Africa, in our experience, we have seen two sorts of distribution model. There is the much trumpeted Manual Distribution Centre (MDC) model which operates within densely populated areas eg around large towns and cities. The MDCs are independent businesses with links to their local bottler who may provide technical support (eg sales training and general support) and credit to the MDCs. The owners of MDCs generally own the bottles and crates they use. They advertise a ‘liquid only’ wholesale price. First time customers (without crates and empty bottles to return) will have to pay for the bottles and crates they take away as well as the liquid they contain. MDCs can be solely dedicated to the sale of Coca-Cola but some are wholesalers of other products as well (eg bottled beer). MDCs are often run from shipping containers painted red. 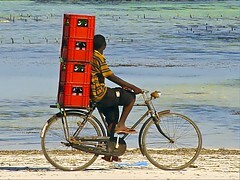 They receive a delivery of Coca-Cola once a week or thereabouts. 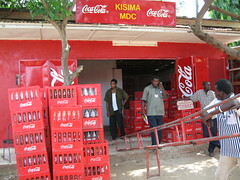 Typically a Coca-Cola lorry leaving the bottler will visit one MDC which will take the entire load. 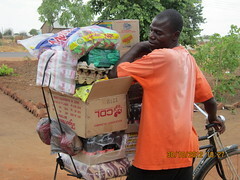 Distribution from the MDCs is mostly ‘manual’ with crates being loaded on to handcarts, bicycles etc. The relationship between the MDCs and the bottler is similar to that between the bottlers and Coca-Cola Altanta – although the MDCs are legally independent businesses, many depend on the local Coca-Cola bottler for their business to succeed. The MDC model works very well in densely populated areas where manual onward distribution is feasible due to the short distances involved. There is money to made by everyone who is involved in getting the product to these people. The lorry leaving the Coca-Cola bottling plant only goes so far. Beyond the lorry’s reach, an army of entrepreneurs take over, to carry the product the last few miles to the most remote points on the planet. At a recent Business Action for Africa event William Asiko, President, Coca-Cola Africa Foundation and Chair, Business Action for Africa told a story of a recent trip he made to the Democratic Republic of the Congo (DRC). 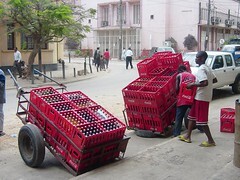 Coca-Cola has no official presence in the DRC. Despite this when he touched down he was able to buy a cold can of Coca-Cola. 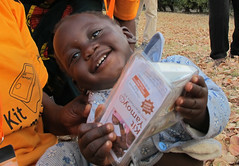 In Zambia, ColaLife wants to emulate this system for AidPod Mother’s Kits (Diarrhoea Treatment Kits packed in AidPods). The basis of our plan to try to do this is described here. Another model of clarity and stepping stone in our journey of understanding of Colalife plan. Thanks Simon. Fascinating.